One common question is, “What kind of toilet paper is best to use with a septic system?”. The answer is, there’s not a perfect answer. We don’t recommend everyone who uses a septic system go out and buy thin, sandpaper-like camping toilet paper. 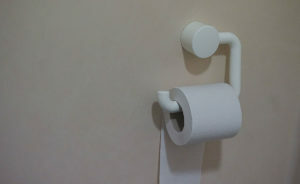 While the fluffy, soft toilet paper does not break down as easily, this doesn’t mean you can’t use it. This is one of those areas where a little common sense can go a long way. Suppose you have two neighboring families. They both use “the good stuff”. One family has 3 sons, the other family has 3 daughters. Guess which family will likely use more toilet paper? Of course, the family with more females. Now, that doesn’t mean that family can’t use the good, soft toilet paper, but they should be cautious to not overuse toilet paper. It may be worth pumping the tank a year or two more frequently depending on these factors, but that doesn’t mean the good stuff can’t be used. We have customers who take it to the extreme and don’t flush any toilet paper. That’s fine too, and they may be able extend their pumping times by one to two years, but this isn’t necessary either. There is not just one answer to the question. It will depend on your family’s size, toilet paper usage, tank size and other factors such as your family’s other wastewater habits. If you are unsure if it is time to have your tank pumped, give us a call. Phone estimates are free. Upon arriving at your house we will determine if your tank needs cleaning – if it does, we will happily provide that service – if it does not, you only pay the service call. However, if your tank has not been pumped in the last 3-5 years, chances are it is time have it maintenanced.